Although you may not think it, there’s more to wearing your shoes barefoot than meets the eye. Take a look below at our guidelines on how to go sockless for the man who wants to embrace the mankle without compromising on style – or hygiene, for that matter. You like athlete’s foot, foul-smelling shoes and dicing with fungal nail infections, do you? Thought not. The point of going ‘sockless’ is to create the illusion of socklessness, not to suffer the squelchy reality that going barefoot actually presents. Instead of allowing a pool of sweat to form at the bottom of your shoes, invest in a pair (or three) of invisible socks. Calvin Klein does a killer line of admittedly ugly invisible socks, but they come with small rubber strips on the inside, which prevent them from rolling off your loaves. For simpler, more handsome options, try hosiery specialist Falke. You may have noticed the growing prevalence of wide-leg trousers on high street rails this year, which, on the right man, can look very cool worn without socks and a pair of simple trainers or Derbies. But for the rest of us mere mortals, who don’t look like models, work in the creative industries, or have the confidence to cut completely away from the pack, the more socially palatable way to go sockless is in slim, tailored legwear. In terms of length, aim for your trousers to finish at or just above the ankle, ensuring clean lines and a sophisticated finish. Always bear in mind both the formality of the occasion and the expected dress code before opting to flash the flesh. Although sockless ensembles can look extremely sophisticated and refined, some events call for a more traditional approach to dressing – for example, formal weddings or corporate offices. That said, if you are one of the lucky ones whose daily work uniform errs towards business-casual, there’s no reason why you can’t pull on a pair of slightly cropped charcoal or navy trousers with subtle tapering at the hem. Combine with low profile loafers and finish things off with a crisp Oxford shirt and tie. 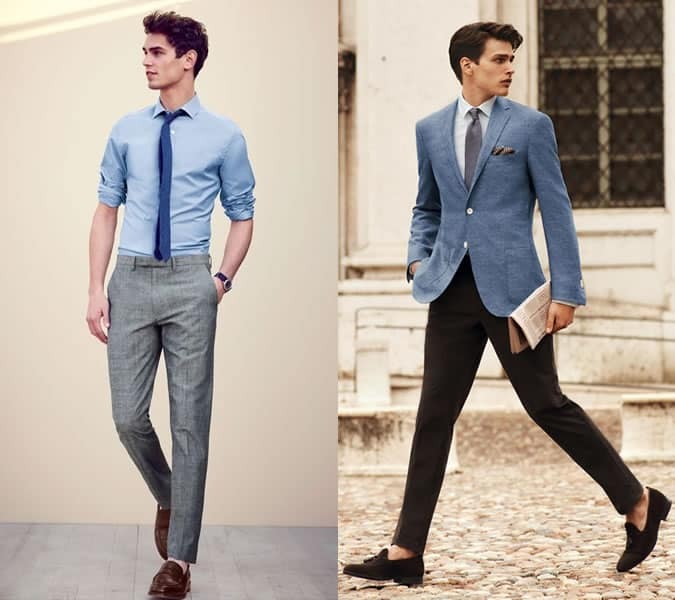 Add a blazer for the ideal smart-casual summer wedding ensemble. Unless you’re sporting a set of strangely demure lady ankles with soft, buttery skin, you’ll want to pay some attention to the condition of your ankles before going sockless. 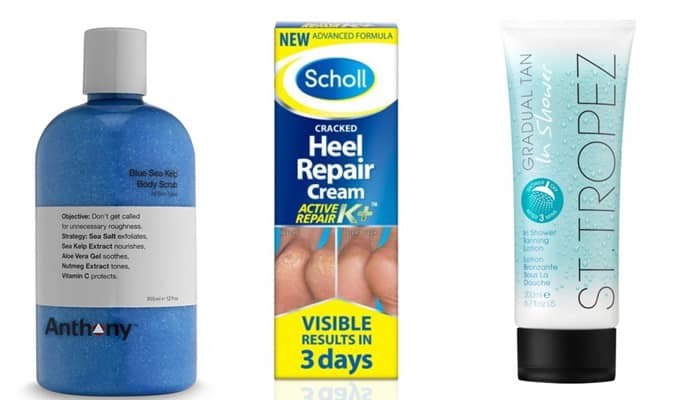 The sight of your dry Achilles, pasty pins and wiry hairs compromises the overall effect somewhat, so try exfoliating with a body scrub, moisturising your feet with Scholl foot repair cream and applying St. Tropez’s new Gradual Tan In Shower Lotion for a subtle hint of colour. This isn’t Victorian England, so there’s nothing taboo or remotely titillating about flashing an ankle nowadays. However, you can have too much of a good thing, so don’t go rocking a pair of trousers tantamount to three-quarter lengths if you want your look to fall within the realm of good taste. In fact, the sharpest way to pull off a sockless look is to provide just a hint of leg under a minimal break in your trousers.